Another cryptocurrency exchange is in front of us, another big player in the industry. Interestingly, these guys hail all the way from the US of A, which is a country famous in the trading community for its strict legal requirements. This can tell you right away that the company is very serious, but we are not satisfied with just that, of course. There are some very interesting facts about this exchange, especially when it comes to the profile of their clients and the number of coins they allow you to invest in. As a matter of fact, these features are what makes them fairly unique in the industry. Interested in taking a closer look? Well then, don’t waste any more time. Our detailed Bittrex review is in front of you and it will show you everything you need to know about this elite website. Read on! Before we go any deeper into this analysis, we have to make an important disclaimer: at the moment, only “select invitees”, as Bittrex Exchange puts it, and those interested in opening a corporate account will be accepted as clients here. This is also a part of the company’s strategy to target primarily professional traders. If you already have an account here, no worries – your Bittrex login will be as smooth as ever. However, new traders are out of luck at the moment. Of course, we will monitor the website closely and let you know if and when this policy changes, but as it stands only the most fortunate traders can log in at the moment. But the main reason why the exchange has made such a drastic move is a huge increase in demand for their services and, consequently, much more traffic. In order to maintain the level of quality they are able to provide, they simply had to start turning down new traders, but they are working on upgrading their systems, so we expect the issue to be resolved relatively soon. We repeat, if you already have an account with them, your Bittrex login will not be affected in any way, shape or form. With that out of the way, we can move on to the details of the exchange’s offer. Stay with us, our Bittrex review is just beginning. Obviously, if you want to trade here, you will have to make a Bittrex deposit, for which there are several options. Do note, however, that at this moment you can do that in virtual currencies only. The choices at your disposal here are quite numerous, but all of them are actually pairings containing either Tether or Bitcoin. The process itself is actually very simple, since all you have to do after the login is go to your Bittrex wallets and click the + symbol next to the coin you want to add. Once you do that, you will get a wallet address to which you need to send funds. Keep in mind that you need to populate this list when you first create your account, so don’t be alarmed when you see the Bittrex wallets section empty at first. Withdrawal works pretty much the same, only you have to click on the – icon in this section of your account interface. If you’re interested in trading Tether but don’t have any, you can buy this cryptocurrency from the exchange directly by using wire transfer, so this can also be seen as a kind of deposit. Be advised that you will have to make an investment of at least 100,000 USD this way, which is a pretty good demonstration of how this company targets professional and corporate traders only. However, a lot of what we discuss in this paragraph of Bittrex review could change very soon, since Bill Shihara, Bittrex’s founder and CEO, confirmed recently that they will start accepting USD deposits very soon. This will be the first time this exchange accepts fiat currencies, which will certainly have a great impact and hopefully nobody will be left out from experiencing it this time. Furthermore, this could very well lead to Tether being dropped altogether because the company treated the USDT as a replacement for the greenback. This move will certainly shake things up on the market, so be on the lookout for it. We, on the other hand, will continue with our analysis. How do Bittrex fees work? Given their target audience, it is reasonable to expect that trades on this website will include some pretty big numbers. It is therefore extremely important to know how Bittrex fees work and what you have to be aware of. We will start by saying that there are no Bittrex fees when you’re making a deposit. Simply choose your Bittrex wallet, make a transfer and that’s it, but do keep in mind that there may be some network fees to pay if your coins, prior to being credited to you, have to be moved to another address. The same applies for Bittrex withdrawal fees – you will have to pay a certain (although small) amount to cover the fee for the exchange. The whole process is completely transparent, though, and you can see how big the fee is as soon as you click on the – symbol we mentioned in the last part of this review. Obviously, there is a detailed list of every transaction for every wallet you use here, so you can always keep an eye on things without the slightest problem. One area in which Bittrex fees ARE fully present are the trades you execute on this exchange. For each investment, you will be charged 0.25% of the profits. However, if you cancel your order before it is executed, this fee will be returned back to you. This should really all be pretty straightforward and easy to understand, so let’s now get to what you can expect when you actually start trading. Stay with us, ­­­the Bittrex review is getting to its most interesting point! OK, so which coins can you count on when you’re looking for an investment target here? Loads of them! Your choices are divided into three huge Bittrex markets, each dedicated to one of the company’s main interests – Bitcoin, Ethereum and Tether. Obviously, this last part of the offer could see some changes given what we said previously, but for now this is how the situation stands. So, what are these Bittrex markets and how can you use them? Simple, they are essentially collections of cryptocurrency pairs based on one of the three aforementioned coins. In other words, it’s just a way to organize the offer, and since these three are what the exchange is focusing on, it makes sense to do it this way. But don’t think for a second that the selection of pairs is in any way lacking. Quite the contrary. Each Bittrex market contains pages and pages of nothing but cryptocurrency pairs. In total, there are literally hundreds to choose between, but if you have a particular cryptocurrency that interests you most, you will be able to find it very easily by typing it in the search field located slightly above each list on your right-hand side. No matter what you’re looking for, though, you will always get all the latest and most important information about a pair here. From its trading volume and last price to its highest and lowest points in the last 24 hours. Don’t forget to check how big the spread is while you’re there, too. As a matter of fact, the whole website will open up in front of you when you get here, with links to pages containing various policies at the bottom of the screen. Just below them, you will see the total amount of Bitcoin volume traded and the current price of this particular cryptocurrency, as well as the total Ethereum volume. It really cannot be understated how simple and yet informative the design is. But let’s take a closer look at the variety of coins you can find here. We’ll have that and more for you in the next part of our Bittrex review. If you’re not completely new to the cryptocurrency market, you probably already know that there are many different virtual coins you can invest in. We would argue that most of them can be found on Bittrex Exchange, that’s how good the offer here is. To be more precise, you have about 200 different choices in front of you. How did they get so many? Well, people here are very willing to support new blockchain projects and list those coins on their website. However, all of them have to go through the so-called compliance audits, which ensures you as a trader can easily acquire all the information you need to make an investment decision. Additionally, Bittrex markets are quite fluid, so you will see pairs removed if they’re not popular enough and replaced with something else. Like we said in the previous paragraph of this Bittrex review, they are really doing a great job with that. Just to give you an idea what kind of coins we’re talking about, apart from Bitcoin, Ethereum and Tether of course, we’ll mention some of the latest additions: TRON, WAX (Worldwide Asset Exchange), Sirin Token, TrueUSD, Ignis and many, many more. Of course, all the most famous altcoins are there, too. You should definitely check out Bittrex Ripple, Iota and Neo offers, which seem to be the most popular ones in this category at the moment. Naturally, there are plenty of others to choose from, such as Litecoin, ZCash, Monero etc. In other words, no reasonable trader can complain about the amount of choice they have here. And even if you do want to complain, you can do so by talking to the company’s support team which is really superb. They deserve a paragraph of their own in this Bittrex review, and we’ll dedicate one to them right now. Bittrex support comes in two different forms, actually. First of all, you can contact the company through one of the social networks they use (Twitter, Facebook, Instagram) or an e-mail. All of these methods function perfectly well and always allow you to get the answer you need quickly and without any fuss. This is a very serious and professional company, so assisting clients is among their top priorities. However, Bittrex support also comes in the form of an incredibly large knowledge base. This part of the website contains literally everything you’d ever want to know about this exchange, and it’s all available to you, no Bittrex fees or any restrictions to worry about. 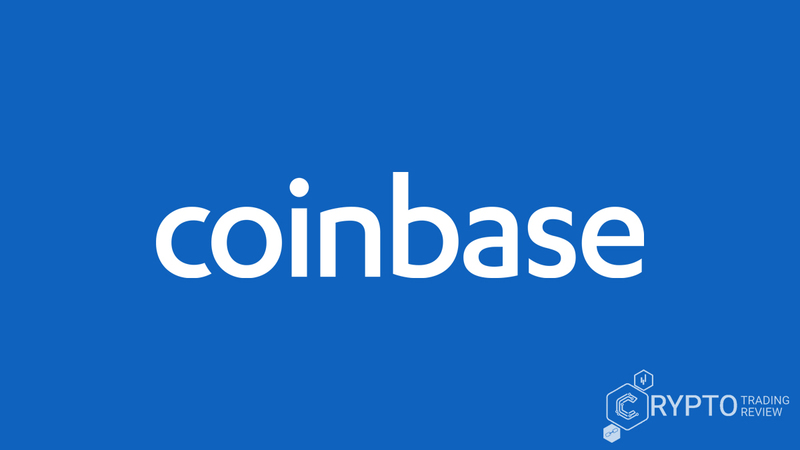 FAQs, company news and even information about new coins on Bittrex markets can all be found. Almost two hundred topics have been analysed there, all of which can be browsed very easily thanks to the search field which has also been implemented. 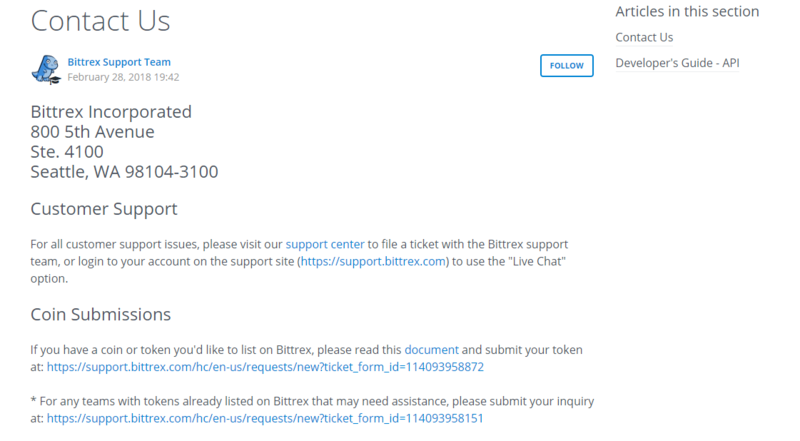 You can even file a ticket with Bittrex support if you’d like to communicate that way. Going through all options you have here would take quite a while, but rest assured that every question you can think of can be or has already been answered. Therefore, for us there is no doubt you are in good hands. 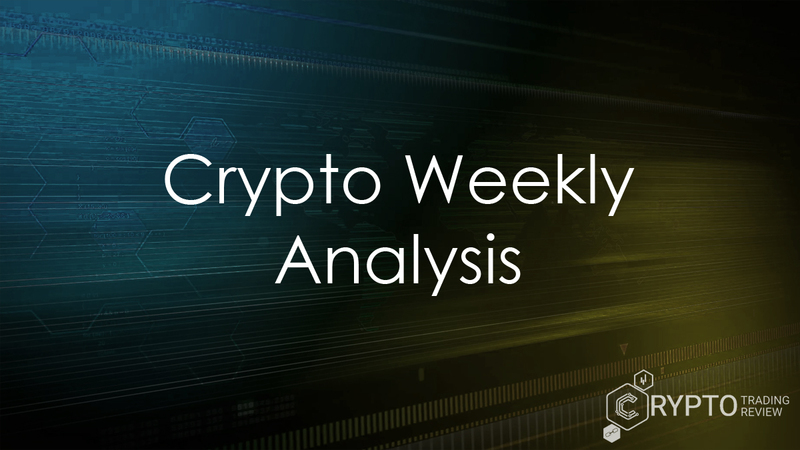 Is there anything else we can mention in this analysis? Of course there is. Just keep reading. Remember that we mentioned Bittrex wallets earlier? Well, you should know that, no matter which wallet you’re using, they can be in a different status. You can view statuses for each wallet on a page on this website, and the information there is refreshed every five minutes or so. Each of the choices here can be in one of four conditions, so let’s take a look at what you can expect. The first status is “Normal”. This is what you want because it means the wallet has been operating as usual in the last 30 minutes. The next status is “Delayed”, which means that no new blocks were seen in the last half an hour, whereas the “Blocked” status means that it was more than an hour since the last block was seen. From our experience, this last status usually lasts significantly longer than just one hour and is a serious indication of problems with a Bittrex wallet. Finally, we have one more status to mention, the “Inactive” status. In this case, the wallet is disabled completely, and the network is having a lot of difficulties processing your request. Obviously, most Bittrex wallets function perfectly, but it’s not a surprise if one of the other statuses appears. We would also advise you to keep track of the market notices just below the wallet statuses because they will tell you if a currency pair is being removed or going through a major change. Plenty of important info to keep track of, so don’t get lazy. As for us, we have more to tell you, don’t worry. Is there a Bittrex app? Many of you will probably look for a Bittrex app to enhance the experience you get on this website. Well, we advise caution if you’re one of these because there is no official Bittrex app yet available. With that said, however, it is worth noting that many traders are using many different third-party apps to help them trade while using their mobile devices to access this exchange. You can find these things working on both major mobile operating systems (Android and iOS), so there certainly are ways to give your mobile device an analytical boost. We repeat, however, none of this is an official Bittrex app. Simple solutions, like apps for price charts and alerts are quite popular, but a lot of people will make their decision based on whether or not your trades have to be entered manually or they can simply be transferred via API. Other apps will help you track the coins that interest you, while with some products you can even simplify your interface and thus increase your trading speed significantly. The community in this case is very big and quite willing to invest effort into creating new things. However, increased caution is always advised when dealing with things that are unofficial, so if you really do want that kind of a Bittrex app, we strongly suggest researching everything thoroughly and talking to other people who use the same piece of software. You don’t want any unpleasant surprises, now do you? How secure is trading here? Since we’ve analysed all that, we need to take a look at the security, too. Don’t worry, it’s everything you could want and more. Remember, these guys are operating from the United States, and the rules there are as strict as they can get. For starters, all prices on every Bittrex market are always up to date, which is not that simple given how many choices you have there. Of course, we already said that the Bittrex support is impeccable too, so pretty much everything concerning service on this website can be trusted 100%. Everything is done to provide the ultimate trading experience, and we must say these guys are doing a pretty good job. Just remember that you have to verify your account before withdrawing anything. But what about the technical side of things? Well, to protect your account, you can easily set up a two-factor authentication (2FA) to control which devices can access it. If you enable that, you will also be able to whitelist your crypto address and your IP address. That way, the exchange will know to only listen to the requests coming from those particular addresses alone. In other words, requests can be issued from only one place. We have to stress once again, however, that there is no official Bittrex app on the market at the moment. This means that downloading any software to fulfil that particular purpose may present a security risk with which the exchange cannot help you. Now we’re not saying all such products are scams, just that they cannot be connected to this company in any way. None of this means Bittrex exchange is not an excellent provider of trading services, as this last part of this article will remind you. 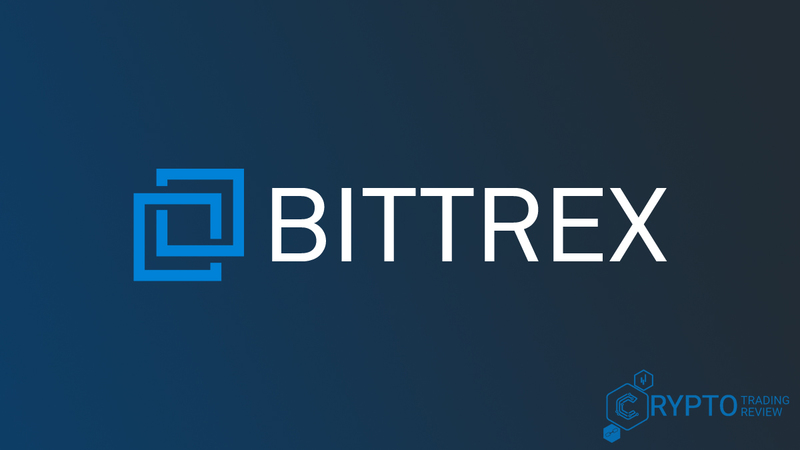 To summarize, Bittrex exchange is a cryptocurrency exchange aimed primarily at professional traders and corporations willing to invest in this kind of thing. At the moment of writing this article, you can only deposit by using virtual currencies, but there are some very strong indications that USD will become available very soon. Bittrex fees are more than fair, but what must be the most impressive part of the website’s offer is the amount of options you have when going through Bittrex markets. There is, quite simply, an amazing number of pairs and coins you can choose from, and the whole thing is very easy to navigate. The offer is actually quite dynamic, and you will often see the latest blockchain projects listed on this exchange. What is equally impressive is the amount of effort that has gone into providing support. Not only can you get a hold of these people quickly via social networks, but you can also check out their huge library of questions where you will surely find what you need. You can even check out the latest news while you’re there. As for mobile trading, it can be done, but by using your web browser to access the Bittrex Exchange, since there is no official app available at the moment. All apps claiming to allow you to trade with Bittrex are NOT official. Nevertheless, we are absolutely certain this is one professional and trustworthy trading partner. It was our great pleasure to explore the offer, and we are very happy to say that we have only positive impressions from this Bittrex review. Open an account here to experience the very best the industry has to offer.